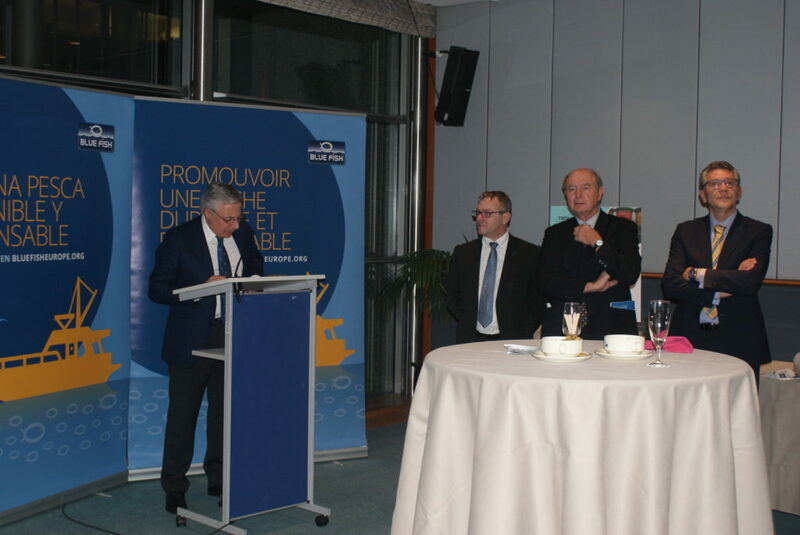 On 31 January 2017, Blue Fish Europe welcomed Members of the European Parliament, the European Commission and others to their annual Expo and Seafood cocktail in the European Parliament. Representatives of Blue Fish provided information about their products and innovative and sustainable fishing projects, while the attendees could have a taste of products like oysters, octopus, langoustines and sea cucumber that were kindly provided by our Blue Fish Europe members. Olivier Le Nézet presented the winners of the first edition of the Green Ribbon project launched by Blue Fish France to support projects in the fisheries sector that lead the way forward in innovation and respect for the environment. 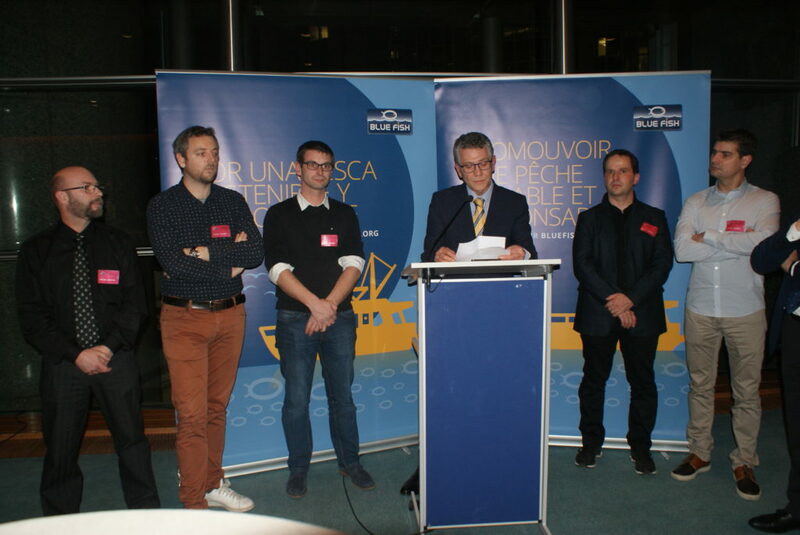 Noting that around fifty projects have participated, he congratulated the four winners, who were present in the Parliament to present their projects: Langolf TV (environmental sustainability award), Aquastream (economic sustainability award), Seareka (social sustainability award) and a group of organisations and fishermen that jointly carried out the reconquête de la langouste rouge project (grand sustainable development award). He also presented a fifth project, which did not compete in the Green Ribbon Award, but was widely used by fishers around France, Télécapêche. Javier Touza, incoming President of Blue Fish Europe said that “since Blue FishEurope was first established, it has underlined the importance of sustainability offisheries in European waters, in order to ensure Europeans that they can enjoy fresh and fair fish, while allowing coastal communities to continue keeping up the fishing tradition in their territories. Innovation can play an important role in maintaining the sustainability of the fishing sector.” He added that administrations, scientists, fisheries organisations and civil society will have to work together and adopt an holistic approach to maintain sustainability in the fisheries sector. We thank all attendees for joining and we trust that you had an excellent tasting, while getting acquainted with the many different aspects of fishing and speaking directly with the fishermen that work every day to maintain a sustainable European fisheries sector. We are looking forward to seeing you again at another successful edition next year.